the combined effects that cause JET LAG! Discover a Better Way to Fly! Feeling Tired for Days Afterwards? A Prolonged Cramped Seating Position Can Restrict Blood Flow and Increase the Risk of DVT. Suffering Physically and Mentally from Fatigue? Elevated Radiation Levels at Altitude Cause Free Radical Damage to the Cells of Your Body, the Same as Having an Xray, Therefore Leaving You Feeling Exhausted and Depleted. Dehydration, Elevated Radiation Exposure, DVT, Exhaustion, Bloating, Cramps, Swelling, Abdominal Discomfort & more are all caused by flying at altitude? These symptoms are very commonly lumped into the generic condition referred to as JET LAG, so we are not just talking about your body clock being the one to blame, as we have to include all attributing factors that effect you when you fly. But nobody really warns you about these effects do they? Nope, they're just part of the whole experience right! WRONG, they don't have to be any more! on your body & your time ! What if we told you there is a way you can hydrate yourself effectively and at the same time protect yourself from the VERY REAL THREATS of flying at altitude, with All Natural Products? A way you can Fight the effects of JET LAG! 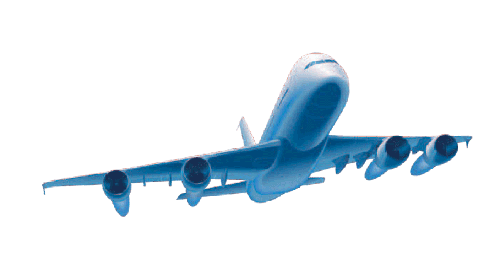 Wouldn't You Wish to Avoid the Costly Effects of Flying and Learn How to Overcome it? You'd Want A Solution that Actually Worked and Wasn't Just a Placebo, Wouldn't You? Something that REALLY Protected you from the effects of flying at 30,000 ft. That can hydrate you effectively without having to rush to the toilet constantly. That will safeguard your body from the REAL RISKS of DVT, Exhaustion and Elevated Radiation Exposure which makes you feel so depleted after a long flight. You'd Want it to do all that and more wouldn't you? We Did! We Wanted to Protect Ourselves! After 2 Years of Research in conjunction with a leading New Zealand University and a leading NZ Nutritionist, we created a solution which will do just that. 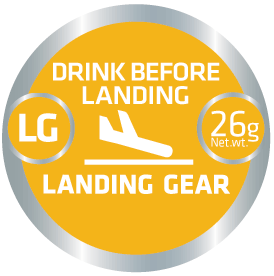 Safeguard you from the effects of flying at altitude, by providing a scientifically created flight drink to allow you travel better, travel safer and have you hit the ground running long after you land!
" I have done a lot more international travelling compared with my partner, so I can tell more easily whether the product is good or not, and I definitely think it is. It was particularly good for the journey over to the UK. We had a whole-day stopover in Singapore, so went without proper sleep for pretty well two days, but I think we arrived in the UK in much better shape than we would otherwise, and made a really good and speedy recovery. I would definitely get it again for long-haul flights. No problem getting the bottles through security - you just have to be organised beforehand. The used Flyhidrate bottles also make good sturdy water bottles!" 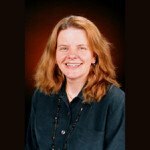 "I appreciated the Flyhidrate product you forwarded to me prior to my trip to Europe. I used your product as instructed and was pretty much jet lag free when I got home – which is a first – so I can quite honestly say that Flyhidrate works – and well! 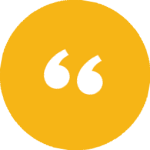 It was fantastic, so thank you"
Joseph Stuart - Northland Inc.
" It was no issue going through security. I took just the bottles for the actual flight and the second lot stayed in my checked luggage. I found it easy to use. I would use Flyhidrate again definitely as I was able to drink less water on the plane which is such a bonus! " The World's Most Advanced Inflight Wellbeing Drink, Scientifically Formulated to Protect You While You're Flying. An innovative New Zealand Product that has not only revolutionized the Flight Industry, but more importantly, serves to safe guard everyone that takes to the air! Using all natural ingredients*, it relaxes you on take off (aiding those that fear flying), assists in preventing DVT (Deep Vein Thrombosis) and due to dry cabin air, FLYHIDRATE does what it says, it provides hydration far superior to that of normal water. During flight it will aid in digestion to alleviate cramping and bloating, begin to protect and clean up the free radicals caused by exposure to elevated radiation when flying at altitude and continue to keep hydrating travellers on their journey. On landing, it will re-energise you, so you can ‘hit the ground running’ signalling the body to flush out those free radicals so you don’t feel lethargic for days afterwards. All the while, still keeping you well hydrated throughout the flight and long after you land! * Also Gluten Free, Wheat Free & Dairy Free. more commonly known as JET LAG. A Fully Tested and Proven Drink System Developed Over a Two Year Period in Conjunction With the University of Otago in New Zealand and Nikki Hart. FLYHIDRATE Places an Emphasis on NATURAL INGREDIENTS to Achieve the Desired Functional Benefits Required to Fight the Effects of JET LAG. View the full list of benefits of FLYHIDRATE below or to learn more about our journey to create FLYHIDRATE, read more about us. "Cradling three vials of magic potion, a hydration mask and a sleeping pill, the All Blacks' meticulous preparation for their end of year tour has been apparent from the moment they boarded their flight north"
Simply Anyone! Whether you're a High Performance Athlete, a Business Traveller, a Frequent Flyer, On Holiday or Airline Crew, then FLYHIDRATE is for you. Due to the collaboration with The University of Otago, not only did we have the science behind the development, but also the means to test & study the results as we developed FLYHIDRATE. First up, a laboratory-based, double-blind, placebo-controlled crossover study was conducted using volunteer participants, to examine hydration and related factors during partially-simulated 7 hour flights. Measurements were taken before, during, and at the conclusion of the simulated flight session. Trials were undertaken in the School of Physical Education climatically- controlled laboratory, but without the radiation or mildly-hypoxic exposure that would accompany air travel. Timeline of the study performed by University of Otago, NZ. 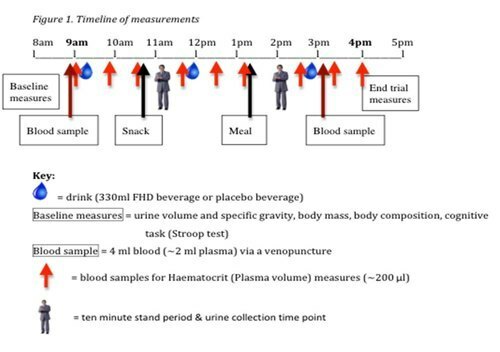 ﻿The study shows the loss of body-water was less by drinking FLYHIDRATE compared to water itself, despite consuming other drinks during the 7 hour period. body over a longer period when in a seated position for a length of time. So it stands to reason that, not only does FLYHIDRATE help the body maintain a favourable water balance to stay hydrated, it then has the added benefit of less trips to the toilet due to reduced urine output. A real positive for anyone on a long haul flight. 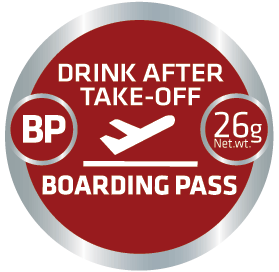 Study shows a reduced urine output was evident by an average of 35% after taking the first drink - Boarding Pass. This also proved similar after the full 7 hours simulated flight. No prescription needed, and no harsh chemicals or known side effects. You can travel well knowing you can trust what you're putting into your body because it has been formulated using ALL NATURAL INGREDIENTS, 29 in total, with 18 of them being fully active on the body, working to keep you healthy, happy & hydrated! "Ensures you are adding nothing extra in your body that you do not need"
"if you don't like the taste, then it must be good for you!" ...except maybe for the seats to be a little larger? Heck, we've kept it so natural we don't even put any anti-foaming agent in FLYHIDRATE to keep it looking pretty! And we won't stop there! We are currently creating new flavour profiles for the frequent flyer and endeavouring to make it totally preservative free too! RESEARCHED, DEVELOPED, FORMULATED AND MANUFACTURED IN NEW ZEALAND. As stated previously we are very proud to be able to claim that this product has been designed in conjunction with an Internationally recognised leading NZ University, supported by NZ innovation, along with being developed & manufactured right here in New Zealand. So although you may not of heard about FLYHIDRATE from a land down under, LET ME ASSURE YOU ... IT WORKS! 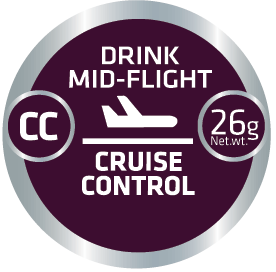 ...each pack containing a system of drinks that can be tailored to your specific flight requirements. Designed to help you relax after take-off, begin hydration on your journey and promote healthy blood flow early in the flight. Used in all Packs. Continues to keep you hydrated through the flight and provide digestive assistance to reduce the discomfort of bloating. Enhanced blood flow is reinforced to keep swelling to a minimum. Used in 12 & 24 Hour Packs only. The final fix, that helps to re-energize upon landing, Assist your body to detox and keep you hydrated for hours after you land. Used in all Packs. Quite Simply, it just isn't possible for a true FLIGHT DRINK to accomplish everything it has to, when combating all the aspects related to JET LAG in just ONE simple formulation!
" To ensure I arrive in the best possible shape, when I travel from Sydney I always buy a long haul three-pack of Flyhidrate. These provide three different drinks for various stages of the flight "
a) no where near as tired, and b) significantly more alert and fuctional. On past long journeys towards the end I start feeling punch drunk and require effort to focus/comprehend whats going on ..basically a zombie state. Yet this time I was completely aware and alert and not a zombie. Miraculous!!!. " 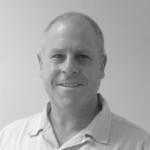 "I had an excellent experience flying AKL to LHR via Singapore and Frankfurt. I only cat napped on each leg, but on arrival into the UK on the Monday morning I felt marvellous. I took the bus to Southampton, hit the ground running and got my 'flat' set up with food and essentials; and didn't 'crash' until 7 pm that night. Had an awesome sleep ... and as they say, the rest is history!!" "Flyhidrate worked very well. I took it like instructed on my trip to Denmark and felt more energized than I expected. I noticed that my ankles were not as swollen either when I landed. I would definitely recommend it for any travels. It makes flying long distances much easier. A+"
" We arrived in London and were not totally exhausted as we have been on previous occasions doing this flight to and from Sydney, so I believe that Flyhidrate really helped both of us and we look forward to it being available in London and other airports too. We also both managed to settle into normal life very quickly with none of the normal jet-lag symptoms! For interest, I am 52yrs old and my husband is 48yrs old! " 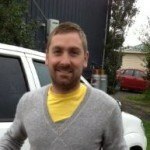 " I recently flew from Auckland to Hong Kong through the night, knowing I was in for the longest day i.e. trade show, dinner, Lan Kwai Fong etc. I tossed my usual prep plans out the window which normally include copious amounts of alcohol to get to sleep, litres of water to stay hydrated followed closely by regular trips to the toilet. On landing at 6am I would then proceed to load up on caffeine to get me through the next 24 hours of work/entertainment. Change of plan, enter FLYHIDRATE. Had my take-off drink and relaxed into the flight, took my 2nd drink mid-flight and carried on sleeping, followed in text book style with the spark me up drink on landing. Felt clear headed more than anything and managed to get through the day and night without feeling too bad at all the next day. I would certainly recommend FLYHIDRATE to any long haul flyer and it is a definite healthier upgrade option compared with previous remedies.Good work guys, hope to get some at every airport I visit. Cheers. " We all know that Airport Security is tougher everywhere in the world today so we ensured that the new packs met aviation security standards. That's why we redesigned our winning product so you can buy it on-line and have it shipped to you BEFORE you pack your bags. This makes passing through Airport Security and Transit lounges simple as can be. Simply match the length of your flight in hours, to the corresponding hours shown on the front of the packs. It's that simple! When you purchase your first pack of FLYHIDRATE through the website, if for any reason you don't like the results you got from having used it exactly as per the instructions provided within 30 days of purchase, then we'll refund the purchase amount of your first pack that you initially invested in your yourself 100% in full, less P&P. 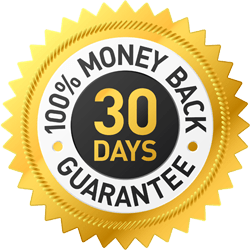 with proof of purchase and we'll issue you a 100% refund on the product. Valid for online sales only and excludes P&P. Why has it changed from an RTD? We previously had RTD (ready to drink) packs and although they were successful in providing an airside solution it wasn’t practical due to Airport Security regulations. Also carrying three bottles on the plane wasn’t always convenient. So our approach to ongoing product development lead to the concentrate being created to alleviate both these issues and make life easier for everyone. It is still the same great product, in fact it NOW TASTES EVEN BETTER. But now just in a more practical form and able to be purchased landside and airside. What will happen if I don't use Flyhidrate? What will happen? Simply nothing!Frequent travellers already know what will happen if they don’t use our product, so it’s just a choice of whether they feel that spending less than $2 per hour, is worth the investment in themselves and their wellbeing. Passengers need to consider not just the monetary cost, but the cost in time lost when they arrive at their destination feeling tired and rundown, knowing full well they’re under performing and NOT being at their best. What is the value of that? Priceless! What About Getting Through Airport Security? We’ve got you covered! ALL THE PACKS come with a clear zip-lock Security Bag for convenience. Passengers will breeze through Airport Security (including transit lounges), so long as they place all concentrate vials in the clear zip-lock bag provided, as they are all well below the 100ml per item security requirement. Is FLYHIDRATE Safe to Use with Medication? All Natural Ingredients have been used. We have had NO reports of any side effects from people using FLYHIDRATE with other medicines. Should passengers have any concerns using FLYHIDRATE with other medications we recommend they seek medical advice from a Doctor. Why Not Just Drink Water Instead? Whilst water is good for you, it is not the most effective means of hydration when flying at altitude. Water sits in the gut and isn’t readily absorbed, causing bloating and discomfort. Where as the studies have proven, FLYHIDRATE is designed to be absorbed into body more readily and therefore reduces the amount of trips to the in-flight toilet. A positive in anyone’s case! Why Three Drinks not One? As stated above, Quite Simply it just isn’t possible for a true FLIGHT DRINK to accomplish everything it has to, when combating all the aspects related to JET LAG in just ONE simple formulation! Is it like a sports drink / energy drink? No. Sports and ‘energy’ drinks contain high levels of added sugars / carbohydrates. FLYHIDRATE keeps these levels as low as possible, whilst focusing on hydration in-flight plus having functional ingredients specifically useful to combat the stresses of flying at altitude. Does it taste differently to ‘vitamin’ waters and common sports drinks? Yes! Because it contains real fruit concentrates, extracts as well as other natural ingredients that have naturally strong colour and taste. Some of nature’s most useful functional extracts are bitter and astringent. So much ‘balancing’ work went in to achieving attractive flavour profiles but still we cant please everyone. But if at first you don’t like the flavours, be rest assured we will always be endeavouring to improve the flavour profiles and then don’t forget what your mother always said… “if it tastes bad, it must be good for you!” and in this case it’s exactly right! 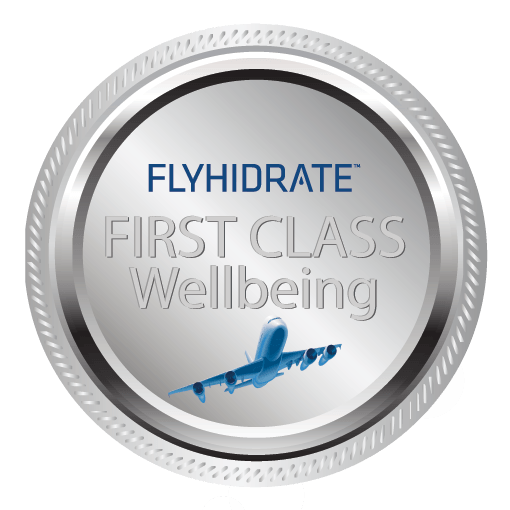 Why can FLYHIDRATE provide better hydration possibilities than plain water? Electrolytes are essential to good hydration as they enable the body to more effectively absorb and retain fluids. Moreover when we sweat, we lose valuable electrolytes and salts that need replacing causing dehydration and due to extremely dry cabin air experienced while flying, the body loses an additional 1L of fluid every 5 hours. 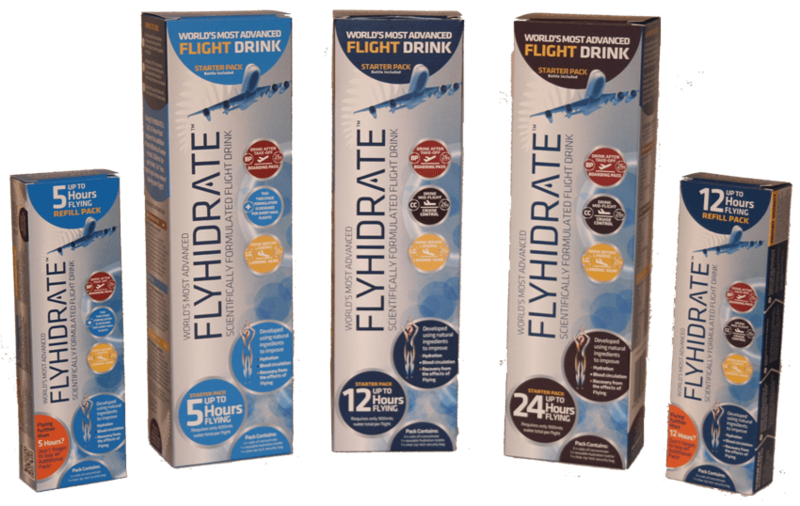 FLYHIDRATE is specifically designed to enable your body to retain the fluid you consume, thus keeping you well hydrated throughout the flight. Is increased radiation exposure at altitude dangerous? Exposure to forms of either cosmic or solar radiation isn’t much of an issue on the surface of the earth because the atmosphere serves as a protective layer. But when you are traveling at altitude, you have less of that protective layer above you and so you are exposed to higher levels of this radiation. Exposure to these increased levels of radiation cause free radical damage in our bodies, a term which we are all now familiar with. Flyhidrate has a blend of super Anti-oxidants to help protect you from and mop up those free radicals. Now You've Discovered a Better Way to Fly!
" I usually arrive at the end of my long overseas trips feeling washed out and tied. I brought the FLYHIDRATE pack in Auckland airport and followed the 3 steps instructions on my flights to New Orleans. Amazingly, I arrived at the destination feeling great. This is a first for me so I’m putting it down to your product. " " Yes, a good trip to the US. I was straight off the Plane and driving distances to meetings and I must say that I felt like I hit the Ground running. I felt good enough that I would like to give it another go, this time a much tougher test. " 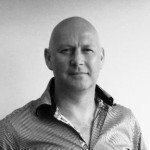 " I liked the 3 bottle approach to taking the product and thought it clever that you have tailored the vitamins and mineral intake to get you through each section of the travelling process. After following the steps, I arrived in Singapore alive and refreshed and proceeded to bounce around the airport terminal until our next adjoining flight. It had an astounding effect on my wellbeing and state of mind. " " Hi, great product...used it on flight to San Francisco. Was stunned how great I felt when I landed in SFO after a 12 hour flight, as I usually struggle with jet lag, so shame it is not available around the world in every airport....one day hopefully. " " I noticed that I was not as tired as on previous flights. I travelled on two long haul flights with only 2.5 hours in transit a total of 26 hours on the plane. I was able to relax and get some sleep on each section of my flight. I was definitely quite energized after such a long journey. I was quite surprised to find that I was not Jet Lagged as on previous flights without Flyhidrate. "